In our 13th year as a Chapter of the AIA, it’s good to know we continue to grow. This year, our membership increased to 83 (+5 from 2017), and we extend a warm welcome to our new members who have recently joined us. As a relatively small chapter, we keep all decisions at our board accessible and invite all members to participate in our meetings where our activities are planned. AIA Japan has always been, and will continue to be a great place to meet and connect with fellow Japan-based design professionals who share a common passion for good design and fellowship. We look forward to seeing you soon in 2019. In the meantime, please enjoy the 2018 highlights! We begun the year with a full re-branding of our chapter. 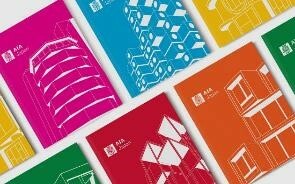 We have a new design for our website and brochures, bringing a fresh new look to AIA Japan. All information on our publications are now both in English and Japanese, so the general public in Japan can also understand what we do. Please stay tuned for future updates at aiajapan.org. We had an incredible year full of lectures by some of the leading thinkers in our profession. 8 speakers came from 5 different countries to speak for us – probably the most in chapter history. We thank all those who helped contact and organize these talk events. As always, our lectures are completely free of charge and open to the public. 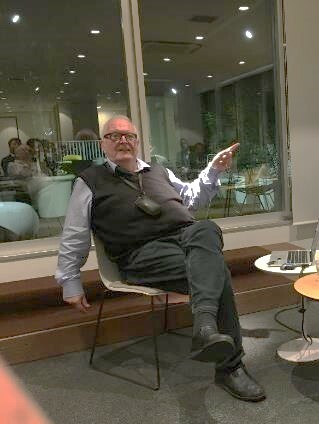 This year, the lectures were held in the Arper showroom in Gaienmae or WeWork Ginza Six. Again, please stay tuned for our Lecture Series to be planned for 2019, as we plan to bring to our members more quality events which count towards your CES credits. Overseas events included the Grassroots in San Diego in March, the A’18 Conference on Architecture in New York City in June, followed by the International Region Conference in Singapore in November. For all these important events, we had chapter officers represent AIA Japan and report on our activities as well as share concerns and issues with our colleagues at the Regional and National levels of the AIA. The International Region is now a group of 7 international chapters, where Japan is the 4th to have been chartered. Of special note is that Yoko Kinoshita of ADH Architects accepted our request to be the keynote speaker at the IR Conference in Singapore. 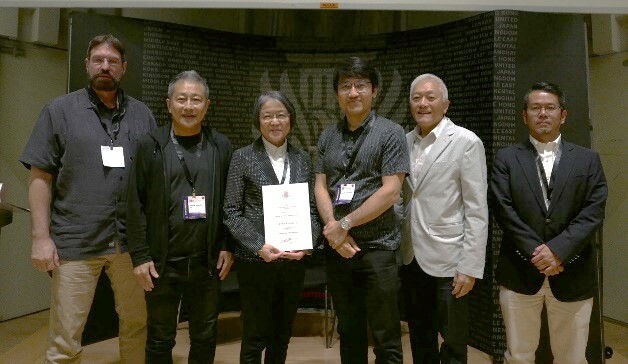 AIA Japan is proud and honored in having joined her in Singapore – her speech was incredibly engaging and well received by all who attended the conference. The ARCASIA Congress was held in Tokyo in September, and many AIA Japan members were in attendance. In 2019, Grassroots will be held in Washington, DC, A’19 in Las Vegas, and the IR Conference in Shanghai. We look forward to see as many members from Japan attend as possible.